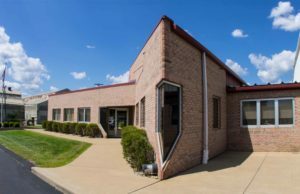 PCCI was the General Contractor for the site development and construction of MICROSONIC Inc EARMOLD Laboratory located in Harmony, Pennsylvania. 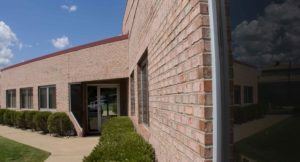 This 15,000 square foot facility consisted of a very unique front office using conventional building construction that is connected to a 10,000 square foot NUCOR pre-engineered metal building system. The beauty of this building can been seen throughout the state of the art facility. The buildings uniqueness is most noticeable from its triangular shape with sprandrel custom corner windows and masonry. This made for a challenging, yet rewarding and ultimately successful project.